Graco baby deals in the UK this coming Black Friday will have you saving plenty of pounds, with many discounts on popular items such as the Graco Evo Mini or XT pushchair, or even the likes of the Nautilus car seat could show up here. There will be many products posted on this page ranging from prams, car seats, nursery, swings and chair bouncers. American baby products company Graco is a worldwide name now, and many online stores / retailers such as Mothercare, Babies R Us, Toys R Us, Smyths and many more will probably be selling many items at a lower than retail cost. All you need to do is watch the comments below for updates on Graco baby deals, there will be many offers throughout the year but the Black Friday UK event is the biggest where prices are dropped even further. I am going to be keeping a good eye on Toys R Us / Babies R Us Graco Deals during Black Friday. Buy the Graco Nautilus Diablo Child Car Seat over at Halfords online for just under £100, if anyone knows of anywhere cheaper please do let me know here in the comments. Both Mothercare and Halfords have a price cut on the Graco milestone all in one baby car seat. Both online stores are selling it for £149.99 after a £30 saving. Not going to get any better than this for the Graco Fruit Salad Highchair. Search code 157/8971 and you will get this product for half price at just £29.99. Save £20 on the lime green and black Graco Junior Maxi Sport Car Seat at Kiddicare online – Was £49.99 but now only £29.99. There is half price of the Graco Beatrice Bunny Highchair over at Toys R Us online, was £59.99 but now only £29.99. I can this store doing many deals for the December Christmas build up sale. No need to pay the full £299.99 anymore with Toys R Us because they are now selling for only £149.99 for the Graco Quattro Tour Deluxe Travel System in Bear & Friends pushchair. I have seen the Sport Luxe Graco Trekko Duo Pushchair normally priced at £249.99 for just £174.95 via Amazon UK. Kiddicare is selling the Graco Evo pushchair in slate for £199.99, that is a massive saving of £100 from the marked price of £299.99. I am not sure if i should wait for black friday or buy the Graco Coast group 1 car seat from Smyths or now, at the moment they have for only £60 instead of £80. Is Argos selling any graco pushchairs on Black Friday? I would like a new pram, I am expecting triplets so any ideas what graco pram is ideal. Will Mothercare be selling any Graco pushchairs this coming Black Friday 2015? I am stuck in decided to buy the Graco Junior Maxi Highback Booster car seat or the Graco Nautilus Elite. 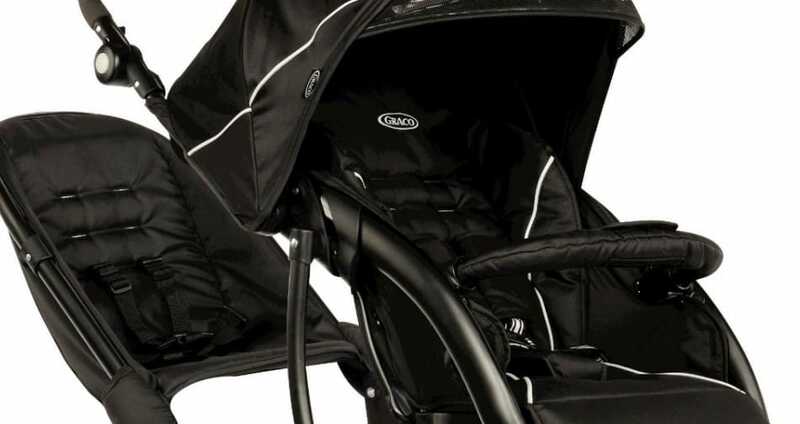 I woud very much like the Graco Quattro Tour Deluxe Travel System, as long as its a lot lower than the current £250 price i will be a very happy mummy.